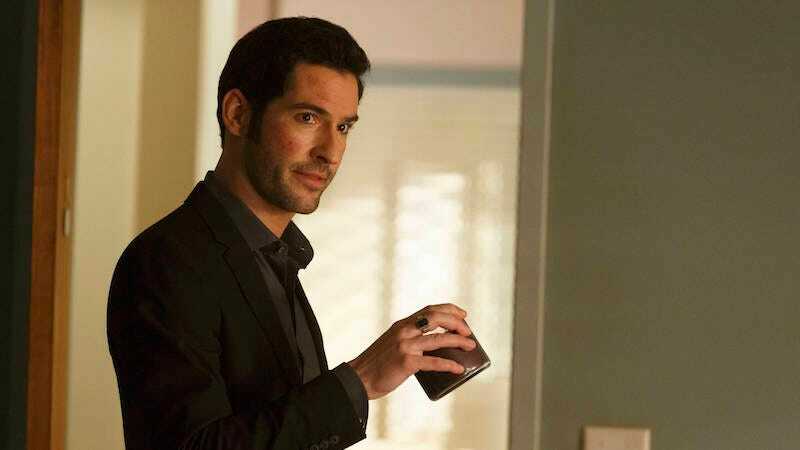 As if Fox’s Lucifer couldn’t get anymore fun, now they’ve gone ahead and cast Tricia Helfer (Battlestar Galactica) to play the titular character’s mother. And the conflict between God’s ex and her fallen son is going to fuel a lot of season two. Helfer’s going to be playing Charlotte, finally free of Hell and on Earth after thousands of years. She is, as you would be, a bit miffed about that. And she’s super-miffed to be stuck in a human body for the duration—Lucifer got his personality from his mom, but she does not share his fascination with humanity. Lucifer knows she’s up to something, but she claims she just wants to spend time with her kids. Except, of course, it’s Tricia Helfer, so I doubt she’s just stopping by to ask why Lucifer hasn’t called. It’s such good casting—not quite expected, but the undercurrent of strength and malice that Helfer can bring to this role is just perfect. Everyone’s going to fall for her while also being terrified. Perfect for Lucifer’s mother. And isn’t that what everyone wants to be described as?